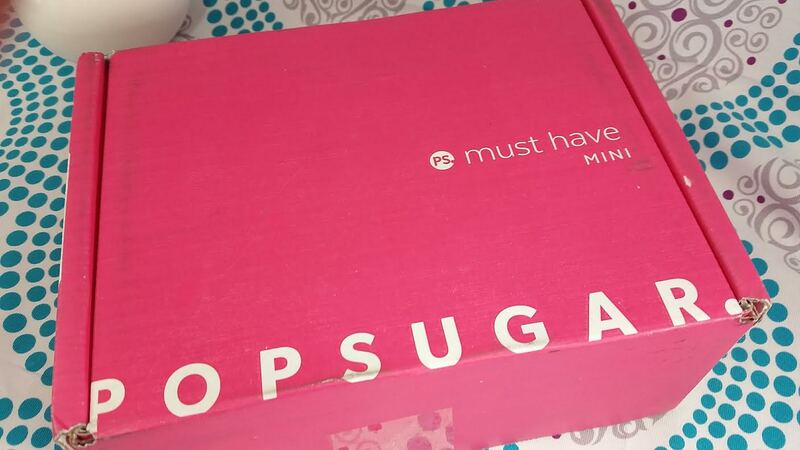 This is the first Popsugar Must Have Mini box that Popsugar has released. It's an interesting concept that I think might need a few tweaks before it catches on for real. 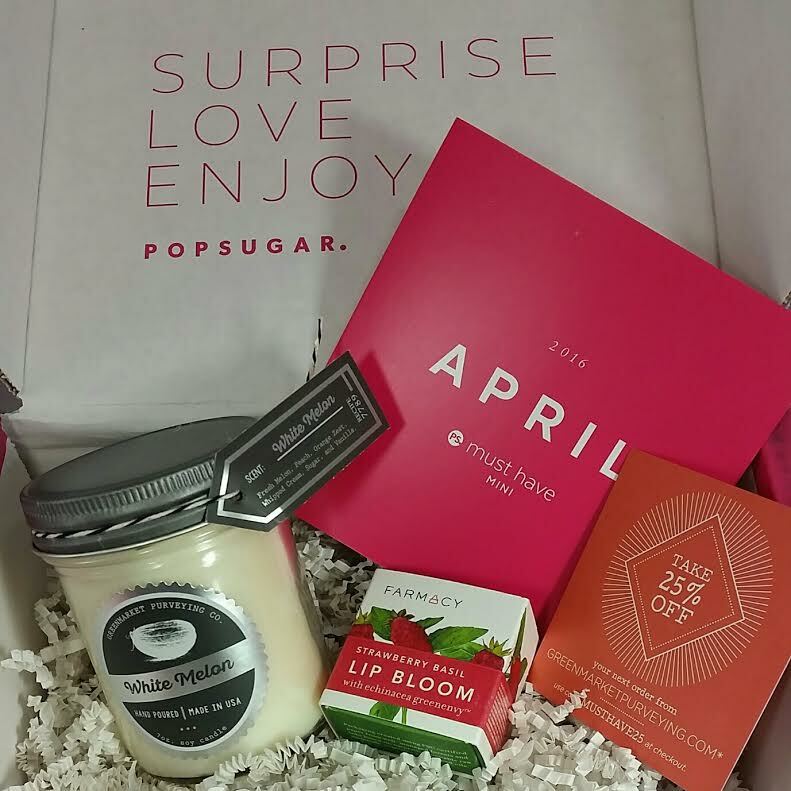 In essence it's a much smaller version of the regular Popsugar Must Have box at half the price. The box promises two items valued at $30. The products included will accompany but not repeat any of the products found in original Must Have box. This is a good thing but I think they need to add one more item to make this a value choice for subscribers. 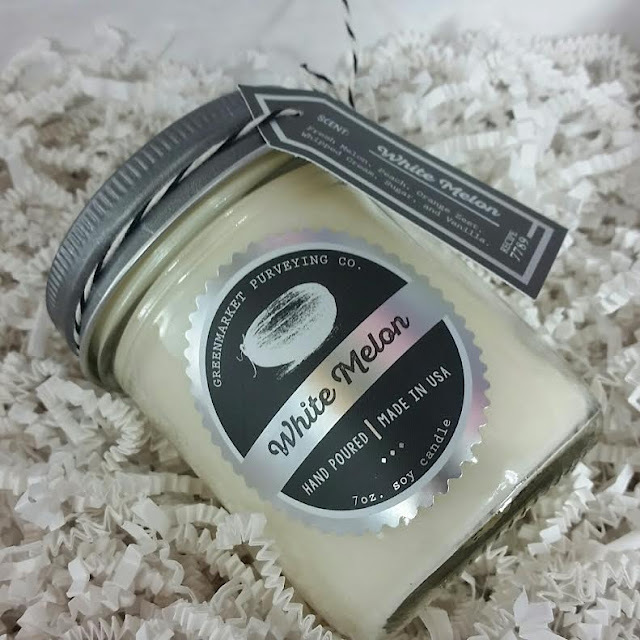 Green Market Purveying Co. Candle in White Melon- I'm not going to lie... This smells absolutely, mouth-wateringly delicious. It smells fantastic! It smells like melon, loooots of melon. Maybe a hint of peach and citrus. The overpowering scent is definitely melon and I love it. This is a whopping chunk of candle too. It's 7oz soy candle in a glass jar. 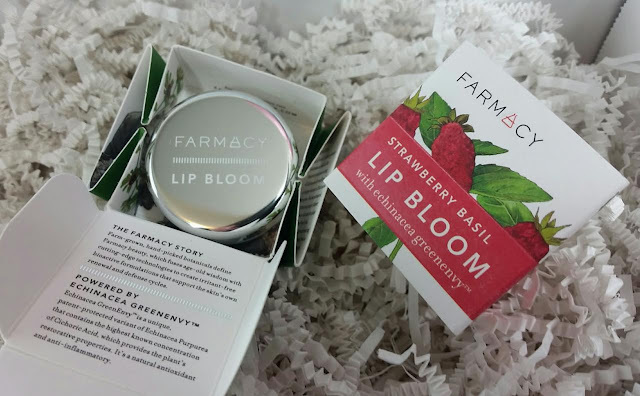 Farmacy Lip Balm in Strawberry Basil- This soothing herb-infused balm forms a protective barrier on the lips, leaving them smoother, softer, and fuller. The formula contains Echinacea GreenEnvy™, a unique, patent-protected variant of echinacea purpurea that contains the highest known concentration of cichoric acid, which helps protect the skin. I freely admit that I'm a little bummed this comes in a pot. I'm far less likely to reach for a lip balm pot than I am a stick. It's just not convenient at all. I wonder why they do it. It certainly isn't sensible to stick a finger into something and then to your mouth. You'd have to use sanitizer beforehand or something. Maybe that's just me and I'm weird. VERDICT: Now I knew that this was going to be only two items. I was prepared for the $30 value. I love the candle and not so much the lip balm. And that's where the mystery part of this box comes into play. I don't really like getting a box that has only two items. Especially when I paid $20 for it. Know what I mean? I wouldn't pay that much for these kinds of things. It's really hard to find value in this Mini box when you compare it to the regular box which is $40 and regularly hits the $100 value mark in value. And there are so many items that even if you don't like one or two, there's still plenty to tide you over. They definitely went with the most pleasing common denominators when packing these up. Candles and lip balm are well-loved (for the most part) in the sub box world. But I have a feeling that we were all expecting a little something with pizzazz for the first box. If you would like to sign up for a Popsugar Must Have box (Mini or Regular), you can do that here. Use code REFER5 or MUSTHAVE5 if you order the regular box (not the Mini) and you'll get $5 off the regular price. Oh, I'm so glad I wasn't the only one going "huh?!" when I opened the box! I've been coveting the full size PS for ever but simply can't afford $40. I was super excited to see a mini version was introduced and signed up in 2 seconds flat....but then....I got this. ARGH...now I'm conflicted. I would much rather spend an additional $20 and but more (maybe that's the whole marketing concept behind this, I dunno). I think you are exactly correct. I think the goal is to catch the people who don't want to pay $40 for a box. But I don't think a box like this one is the way to keep them... :\ Not that the products are bad (they're not!) but it's just a lot of money for what feels like so little. Oh, WOW- You didn't get the Lavender Mint lip balm! I'm so glad. I did, but it's not bothering me, as I think there's more mint. I needed these two products like I needed a third arm, but they totally played it safe straight down the line. Another thing we might need to keep in mind is that, like Birchbox, this is a very small sized box and many of the things we love in our regular PSMH boxes aren't going to fit in this size shipping box. If a person is happy enough to get a nail polish and a hair product, just Birchbox-type but full sized every month, it's more than worth than the cost by just a bit. Personally, I unsubscribed from the Mini in the hopes that lots of other people will too, and then they will have to rethink the curation and possibly small shipper box. I admit to a smidgen of shock that I didn't get Lavender when I saw it listed under varieties! Woohoo!! Yep, this box has some improving to do only because their competition is themselves!! For $40 you get sooooo much more! But I still like the items that they sent. Great brands! That candle smells so good I wish I could eat it!